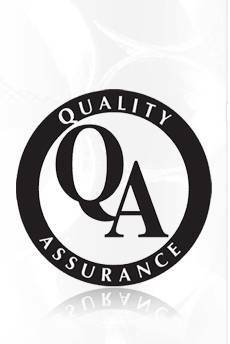 "WE ARE COMMITTED TO STAND UNITISFACTION THROUGH COVOLVEMENT OF ENTIRE WORK-FORCE TOWARDS TIMELY DELIVERY OF QUALITY PRODUCTS & SERVICES TO OUR EXISTING AND PROSPECTIVE CUSTOMERS OF ALL SEGMENTS. WE ALSO PLEDGE TO HONOUR THE RULES & REGULATIONS IN FORCE AND INTEREST OF ALL STAKEHOLDERS OF OUR BUSINESS." 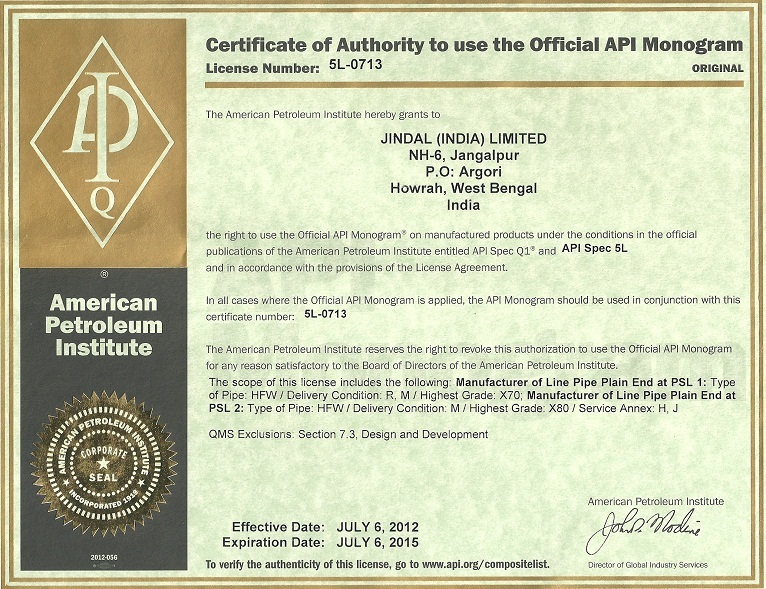 "WE THE MEMBERS OF THE ORGANISATION PLEDGE TO STAND UNITED TO ENSURE SATISFACTION TO ALL CUSTOMERS, DOMESTIC AND OVERSEAS AND TO ENSURE ATTAINMENT OF THE COMPANY'S GOALS AND OBJECTIVES THROUGH OUR DEDICATION AND TEAM SPIRIT, HONOURING THE STATUTE OF THE COUNTRY AND ENSURING THE INTEREST OF THE STAKEHOLDERS OF OUR BUSINESS THROUGH CONTINUAL IMPROVEMENT OF PRODUCT, PROCESS, SYSTEM & HUMAN RESOURCES." 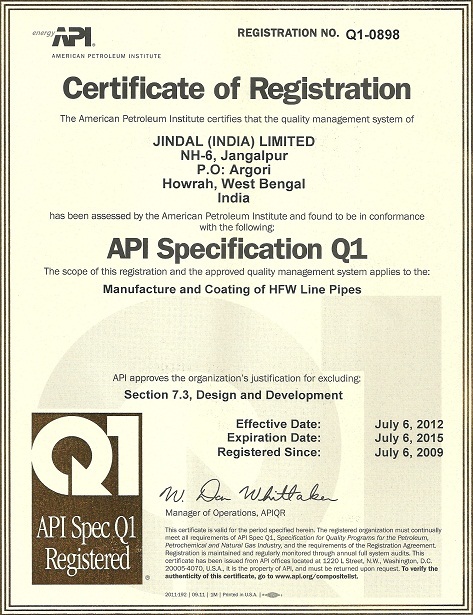 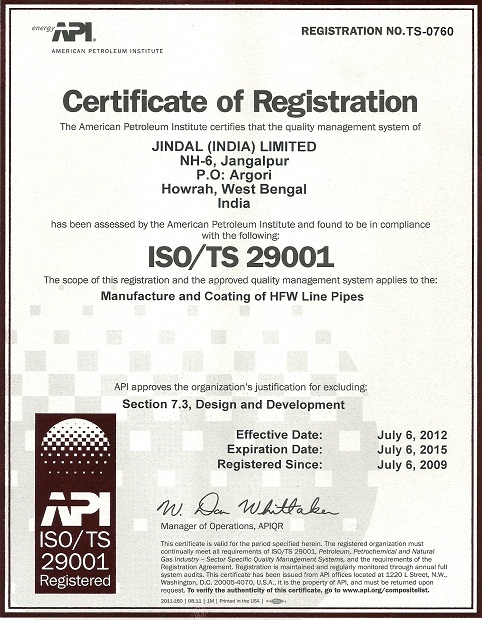 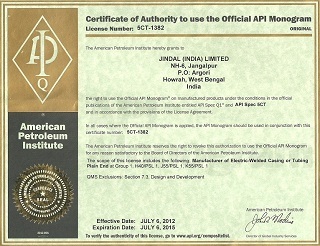 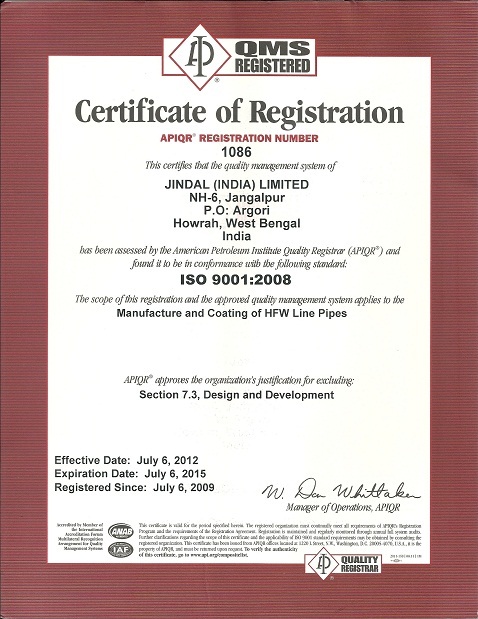 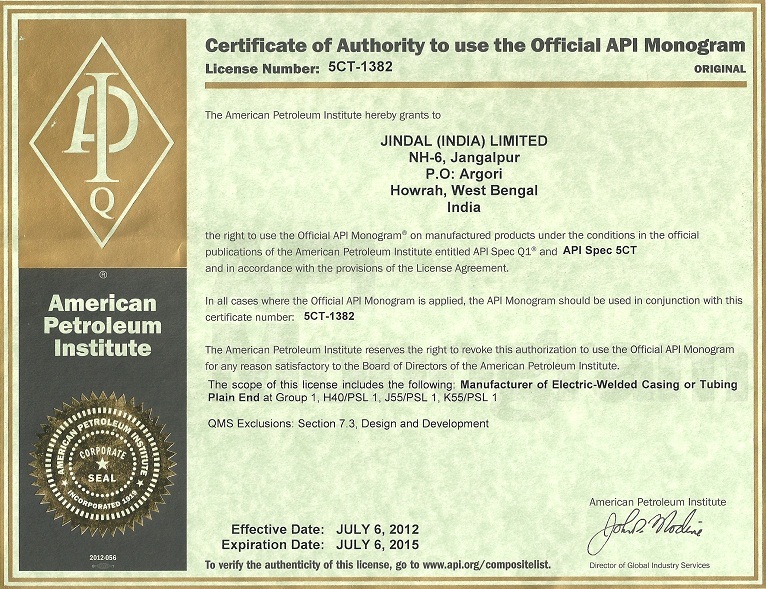 JINDAL (INDIA) LIMITED, JANGALPUR, LINE PIPE DIVISION IS COMITTED TO CONTINUALLY IMPROVING ITS PROCESSES IN ORDER TO INCREASE DEFECT FREE PRODUCT, ON TIME DELIVERY AND ENSURING CUSTOMER SATISFACTION AND HONOURING THE APPLICABLE STATUTORY REQUIREMENTS.